It is just as important for men to take care of their skin, as it is woman, but the needs of a man’s skin are different. That is why we specialize in male facials, which deeply cleanses and nourishes the skin while allowing for a relaxing experience. 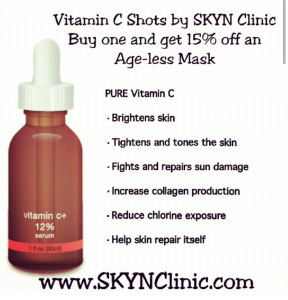 This treatment revitalizes skin dehydrated by the effects of weather, shaving and an arid office environment. Some men tend to neglect taking care of their faces. There is a tendency to think, “Who cares? I’m a guy.” Men feel a lack of motivation to bother to really take care of their faces. Sometimes a guy might think “Well, I lift weights. That’s enough.” or “Facial care is for girls.” That could not be any further from the truth. Facial care for a man is extremely important. It is absolutely never a good thing for a guy’s self-confidence when a girl cringes when you go to kiss her. That is why it is totally necessary to incorporate some kind of male facial care routine to help keep your skin looking clear and healthy. Real men get facials. 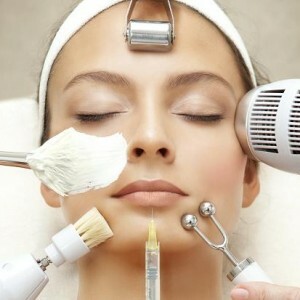 This treatment is customized specifically for your skin type. We deep clean and polish your face and apply natural scrubs and products, resulting in a more youthful appearance and cleaner face. We complete this treatment with brow, ear and nose grooming (if wanted). 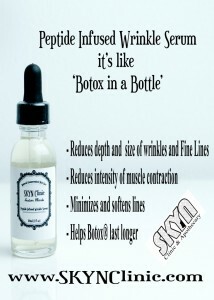 This treatment will get you ready for that hot date! Shaver’s Facial gets rid of ingrown hairs and dead skin around the beard area. It is the perfect supplement to a mans’ grooming or skin care regimen. In addition to a thorough facial cleansing, pore and in-grown hair extraction, light Microdermabrasion is used to exfoliate this problematic area, lifting hair and promoting a smoother, more even skin texture. Topped off with Blue LED Light Therapy, to kill bacteria and calm the skin. Relaxing and De-stressing treatment that combats the effects of environmental damage such as pollution and sun exposure. It also relieves sensitivities caused by razor burns and harsh daily cleansing and restores the skin to the state of comfort and strength. Paying special attention to the needs of a man’s skin and increasing circulation during a relaxing face, neck and shoulder massage. We recommend shaving the night before treatment. Has your mustache gone gray? 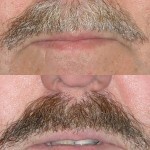 Come in today for a mustache tint to help bring back that youthful look.